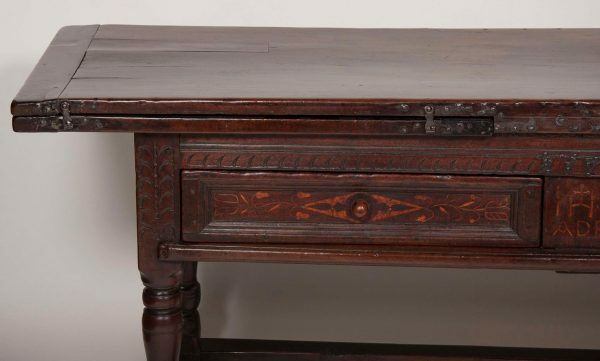 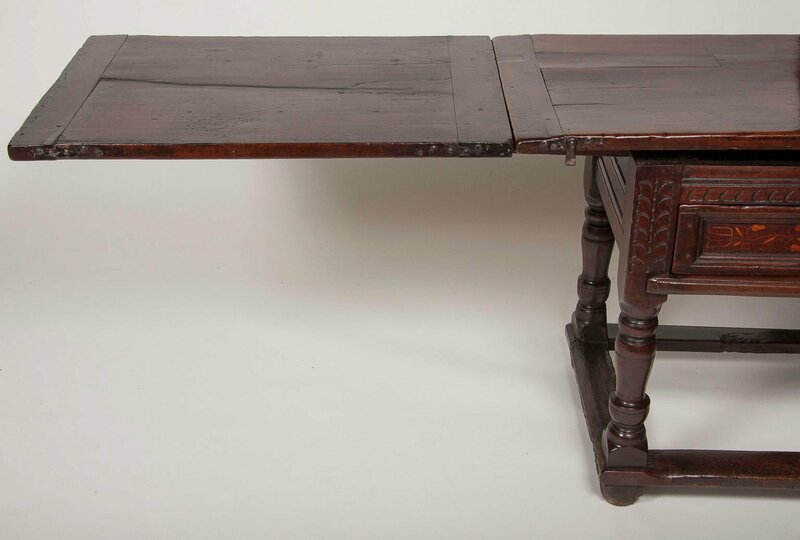 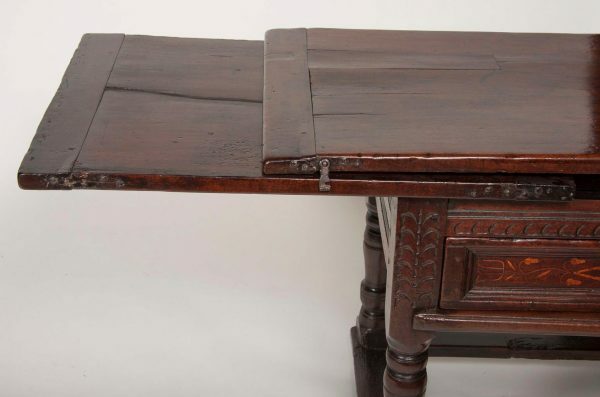 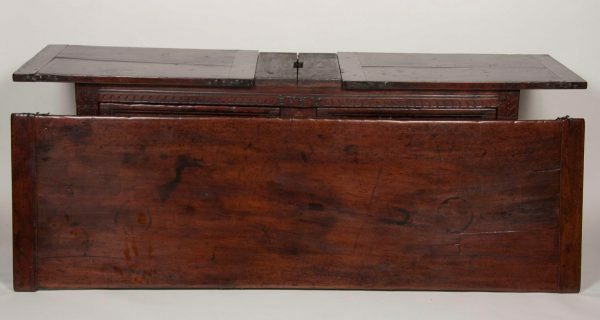 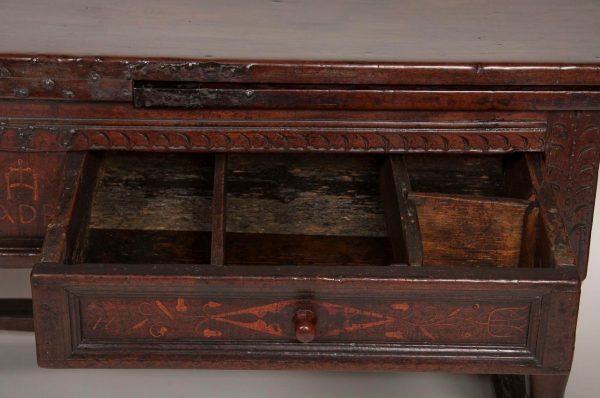 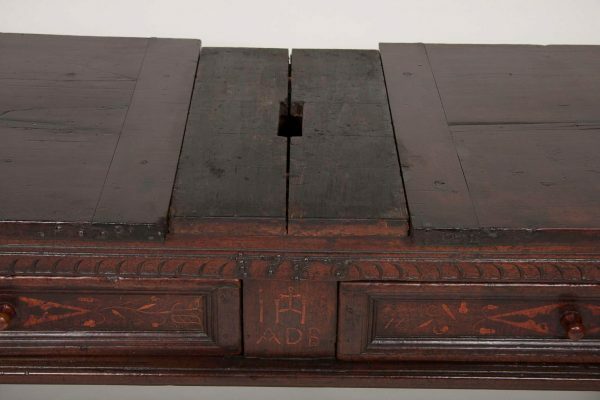 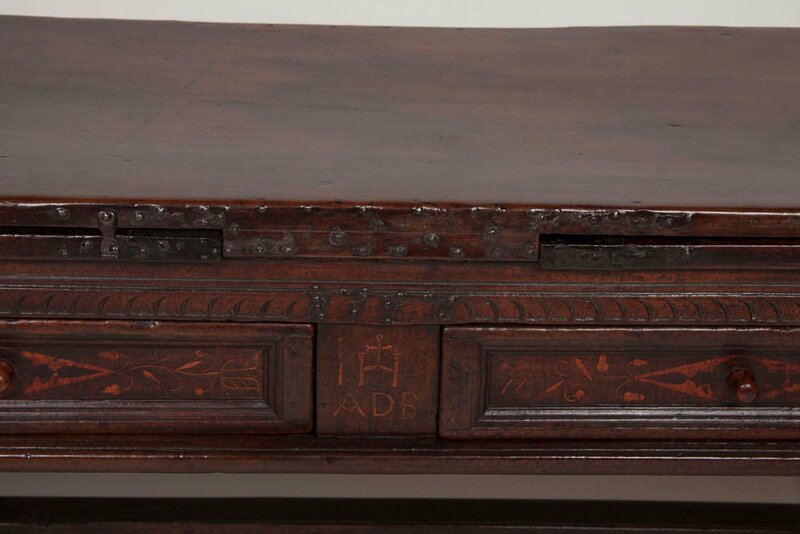 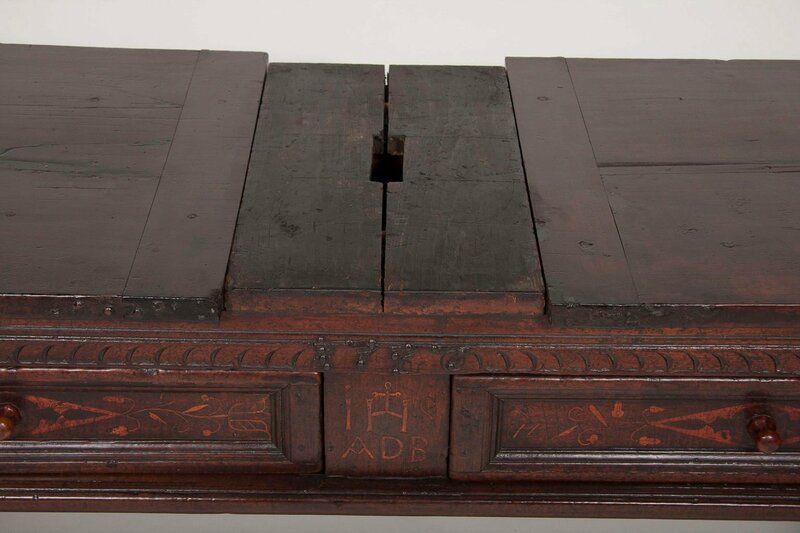 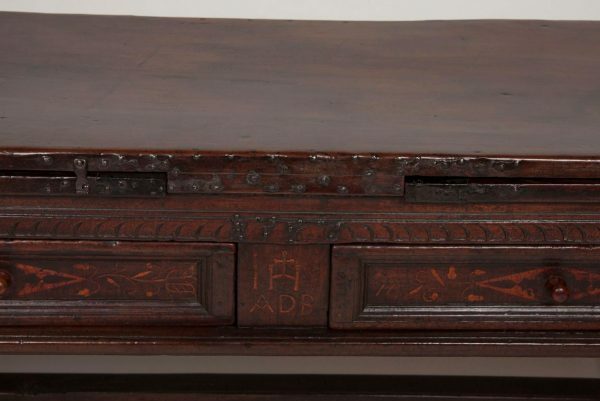 The rectangular top with pull-out leaves under the top over two drawers with central inscription raised on turned legs joined by a box stretcher. Back is finished. 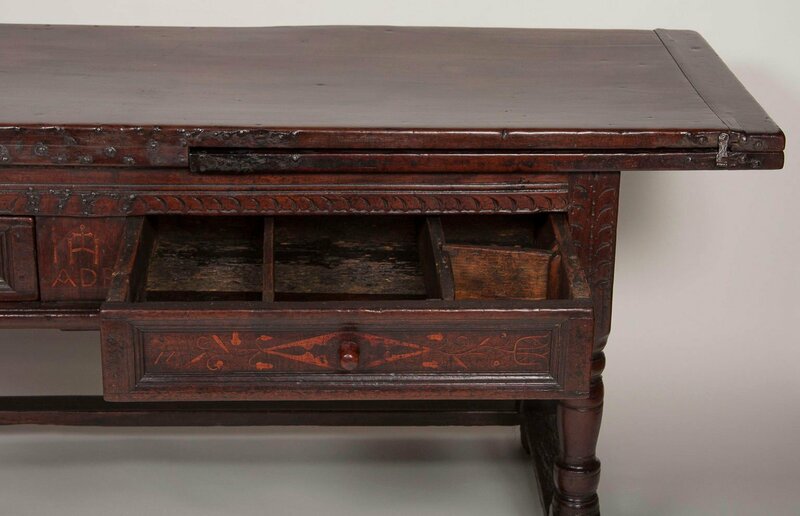 It has great color and patina. 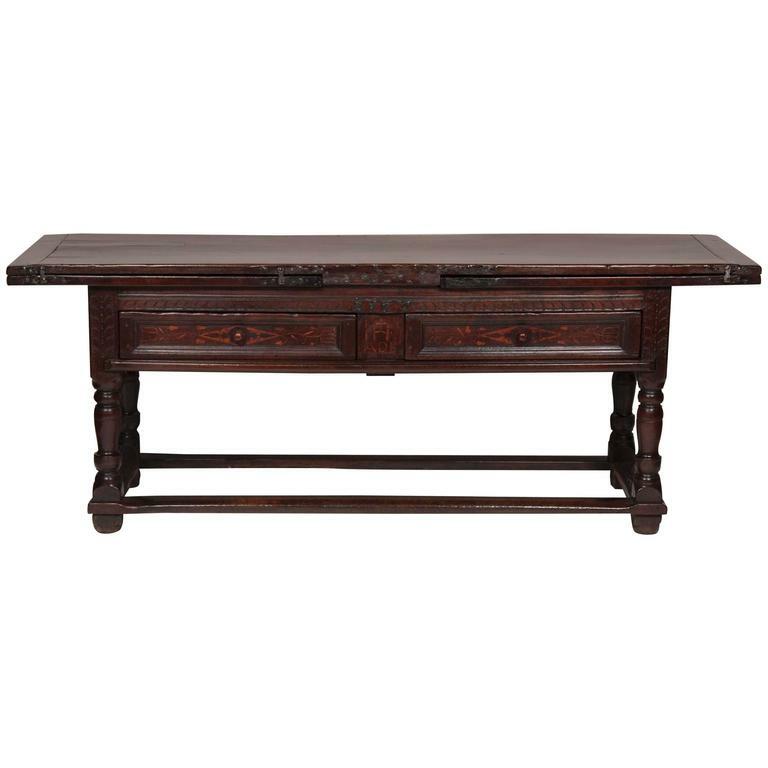 It is in good condition with minor losses and wear consistent with age and use.